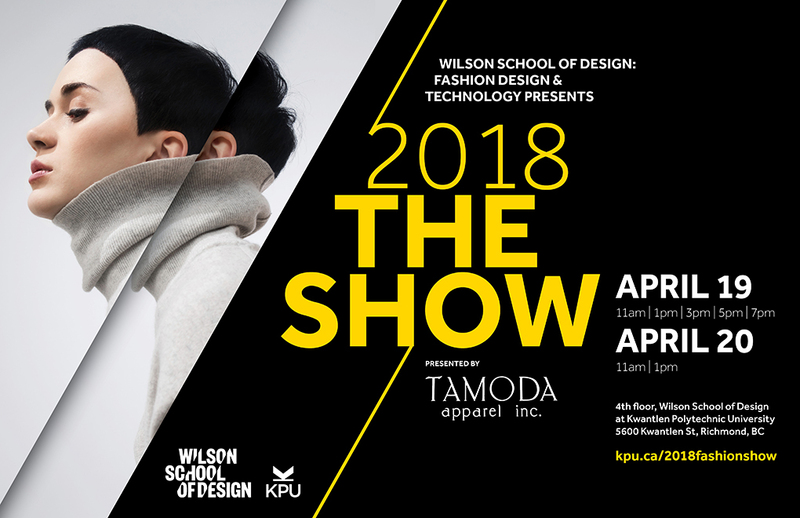 On April 19th, I had the honour of being invited to watch the KPU Wilson School of Design 4th year fashion design students present their grad collections on the runway at 2018 The Show. The class was large - a whopping 32 students this time around - and each showed 2 complete head to toe looks. This was the first time I have been in Kwantlen's new Wilson School of Design building. It was truly impressive. And I loved that they moved their show from the large River Rock Casino into this more intimate setting. Because of the smaller venue, they ran 7 shows over 2 days, but I think the trade off was well worth it. The light filled glass rimmed space on the 4th floor where the show was held featured a u-shaped runway lined with 2 rows of chairs along each side, accommodating several hundred guests from media like myself, to students from local high schools, to family and friends. Every single person was close enough to get a personal view of the fashions being showcased - a treat for someone like myself who sewed professionally for 5 years. I could see all the details as the garments were just inches in front of me. 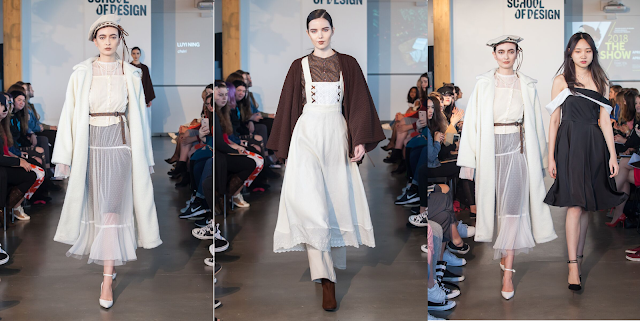 I have been attending the Kwantlen grad fashion show since April 2007, and have always been impressed by the work their students present. 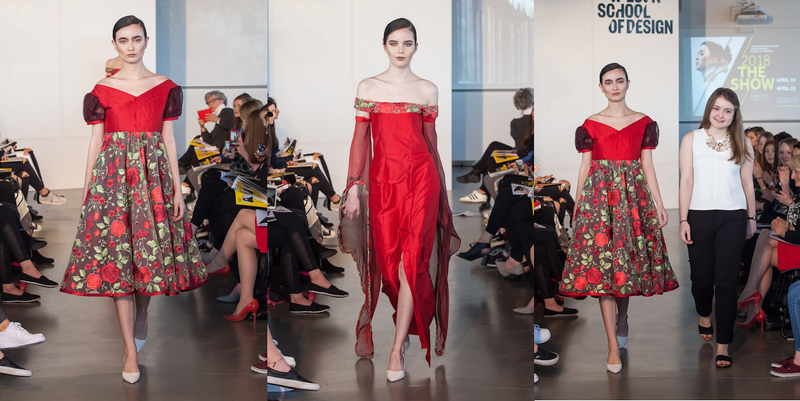 Great design work and strong tailoring skills have 4 years to develop and mature here. But there was something about the unique and diverse aesthetics of the graduates this year that made me sit up and take notice. Kudos to all involved. There is also a strong emphasis on technology now that their fashion program is located in this new facility and I found myself extremely curious about the technical machines the school had available to the students. Fortunately Dean Carolyn Robertson and and Program Coordinator Lindsay Norris offered to give me a tour after the show and introduce me to a few. Their lab featured 3D Printers, a Heat Transfer Machine, an Ardmel seam sealer (the tape this machine fuses onto the garment's seams makes them waterproof), an Ultrasonic Welder and a Radio Frequency Welder. My mind was spinning with the possibilities they opened up to the young designers studying here. Each and every one of the students did an amazing job on the runway and I can only hope somewhere there will be photographs of all their collections for you to view. But it's impossible to include everyone in one article, so I have chosen 11 students to feature here. 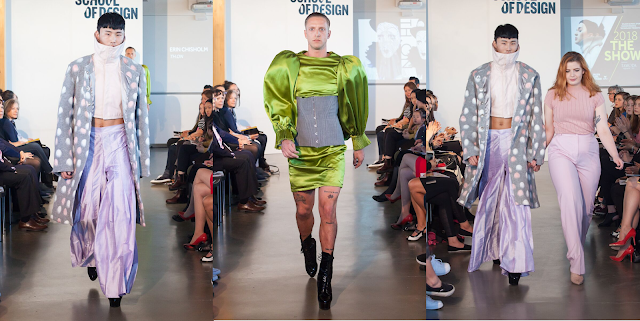 It was truly hard to choose, but I hope those I selected will give each of you a small glimpse into the wide range of design styles I saw on the runway that day. Enjoy! Bio - Erin's ethos is about evolution - tearing down traditional ideals and remastering them to create the contemporary. Bio - Chelsey has been a maker since childhood. 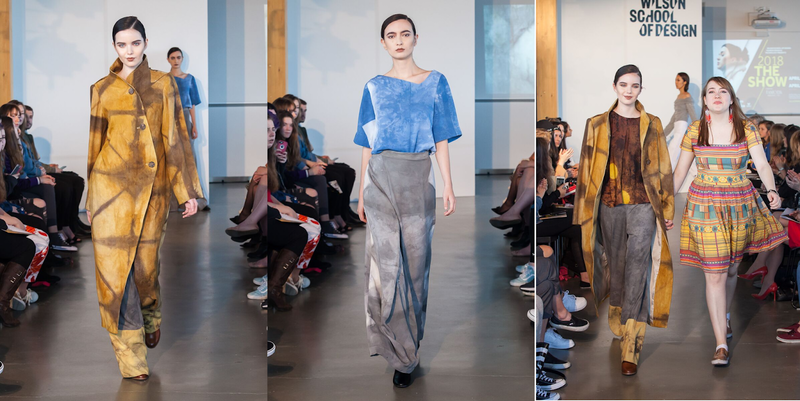 Her creative endeavors brought her to KPU where she has developed a love for the design and the production processes. Line Description - Textilier provides garments with Victorian era silhouettes with modern design details. Bio - Luyi grew up in a multicultural environment. She sees fashion as a worthwhile adventure and aspires to share her stories through design. Line Description - Inspired by Romanticism and Mori style, Cheri delivers an idyllic feeling. 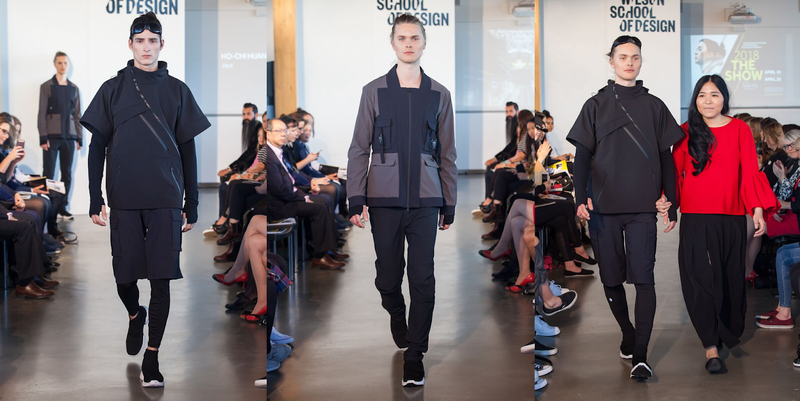 Bio - Inspired by her varied apparel industry experience; she fell in love with highly functional, innovative, and technical garments for menswear. Line Description - Vert is tailored to harmonize and balance modern aesthetics and high-performance menswear. Bio - Inspired by her travels, Sandy integrates functionality and contemporary fashion in a simple yet subtle way. 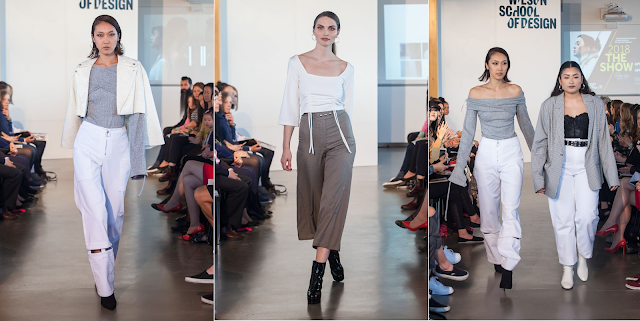 Escalante creates a blank canvas for individuality through her collection: ONE IN TWO. Line Description - ONE IN TWO elevates minimalism through details that transform silhouettes from one look to another. Bio - Josie Robinson has always been a maker, ever since she was a child. As a creative, she is inspired by materials and tactile experiences. Bio - To Iris, design is a cross-functional practice that aims to serve people and the environment. She loves Croissants. Line Description - Fjord Boy combines folk textile history with contemporary menswear to create upcycled pieces for the artistic collector. 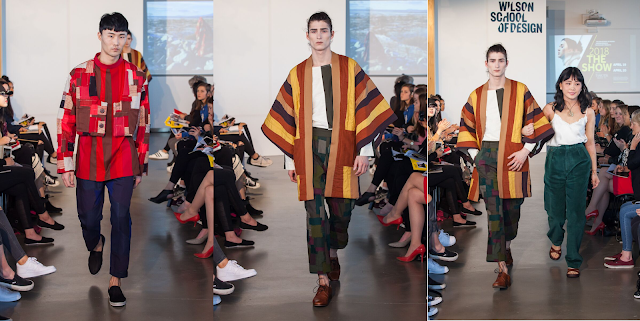 (Note all fabric for this collection was creating by piecing together discarded pieces from Our Social Fabric). Bio - Joanna has always had an interest in clothing and costumes. Her experience of working in a theatre wardrobe reflected her belief that clothing is used to tell a story. Line Description - Pastiche references historical costuming to create evening wear with a whimsical essence. Bio - a nature lover and a romantic. Her feminine and idealistic personality defines her as a dreamer. Camille is deeply inspired by bridal wear as she feels connected with the affection of love. 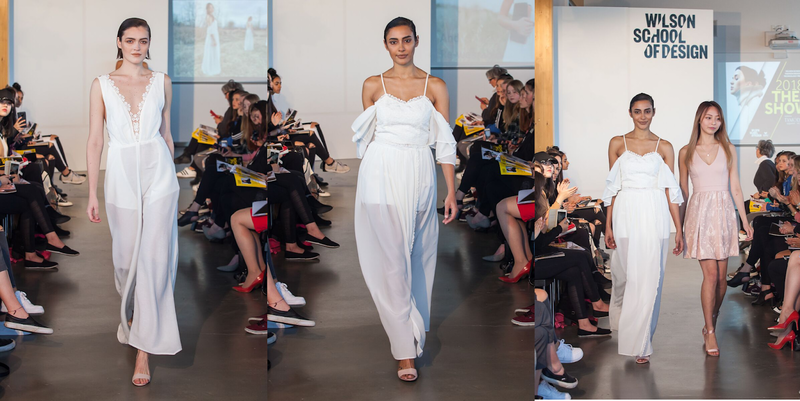 Line Description - Representing the modern romantic and sustainable bride. ECO Lia is designed using organic material, zero-waste construction, and a reusable mindset. Bio - Sieraa has always been interested in menswear. 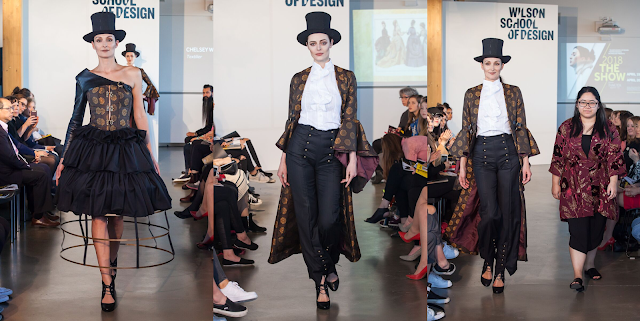 Her love for the industry pushed her to study Bespoke Tailoring in London. McNeill aspires to one day become a Savile Row tailor. 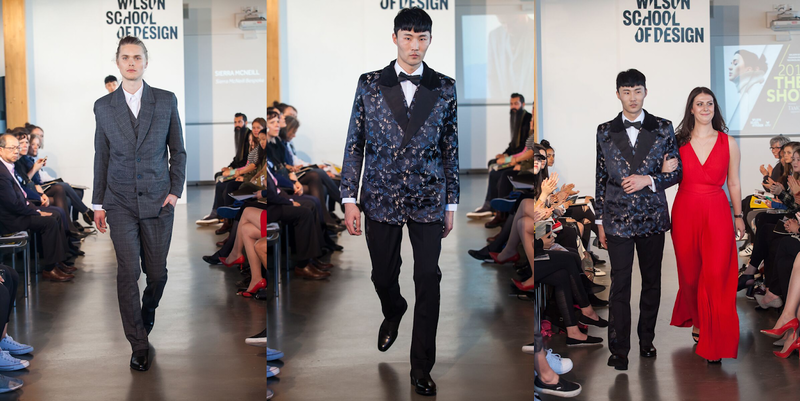 Line Description - Developed around the idea that men are at their best in a well-fitting suite; Sierra McNeill Bespoke adheres to the standards set by Savile Row, yet yields itself to the trends in men's fashion. 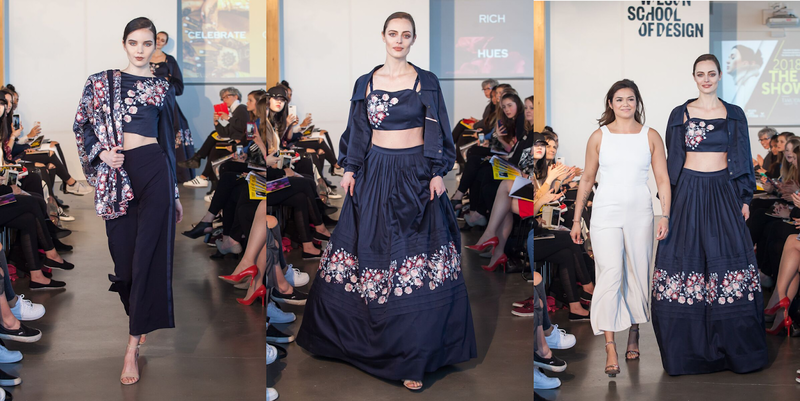 Bio - Chelsea was raised in a culturally diverse community that has inspired her to design a collection that blends cultures. Line Description - MISARANA is a contemporary label that deviates from tradition, whilst celebrating its origin.